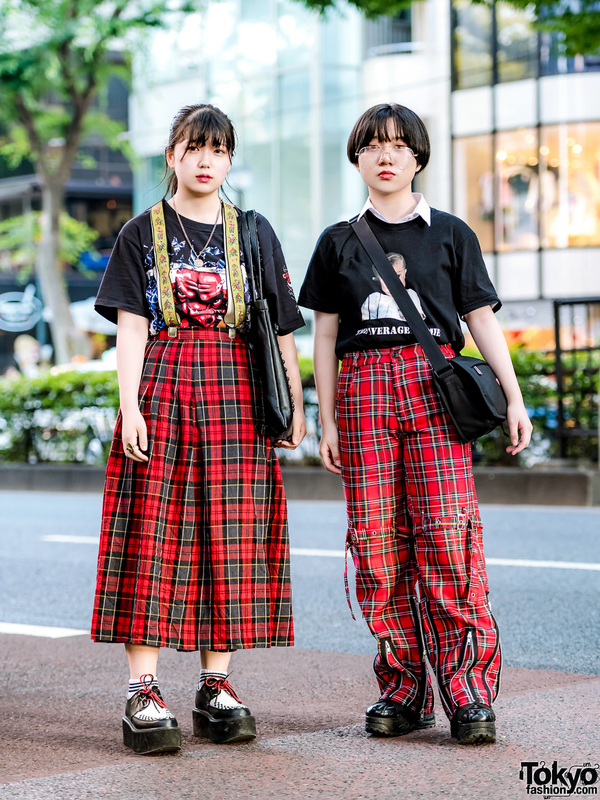 Harajuku girls sporting chic purple and white streetwear fashion styles with fuzzy sweaters, skirts, boots and pointy flats. 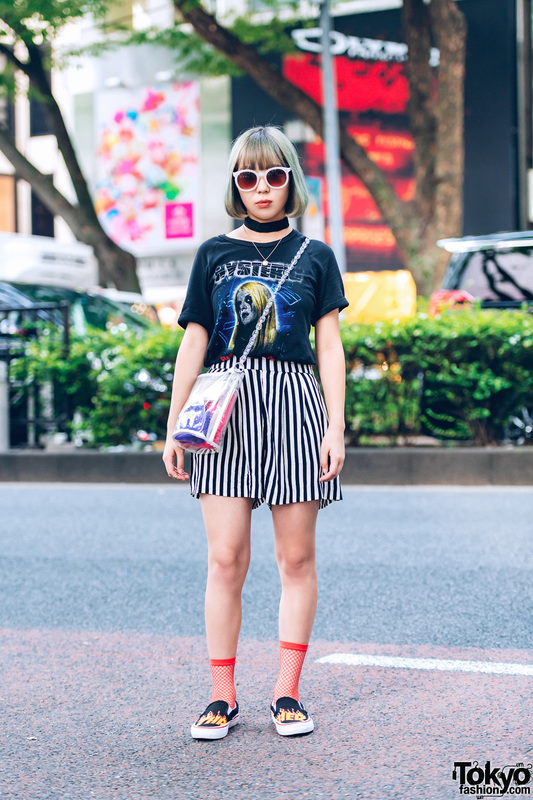 The Symbolic Tokyo fashion designer in a casual monochrome streetwear style while out and about in Harajuku. 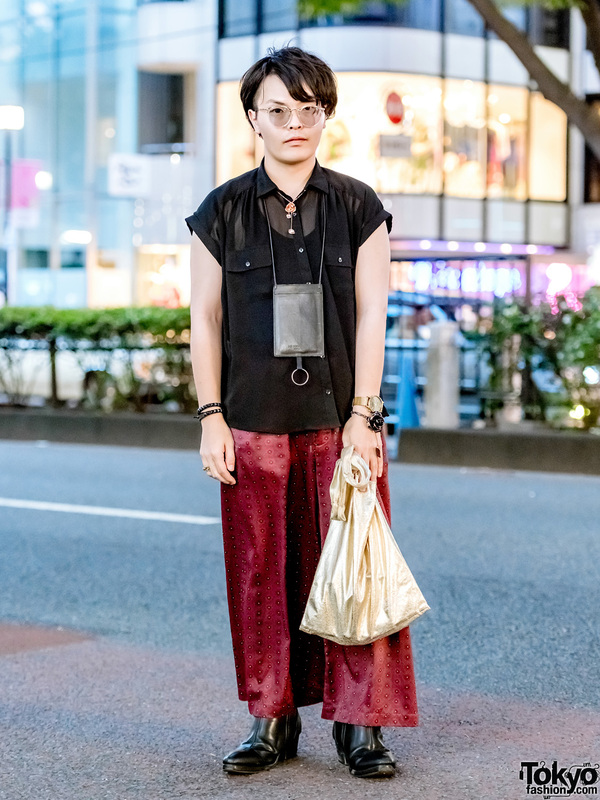 Japanese web designer in stylish streetwear look with sheer blouse, wide leg satin pants, pointy boots and gold tote bag. Japanese model Manaya on the street in Harajuku sporting layered jeans, a black hoodie, gold boots and bling. 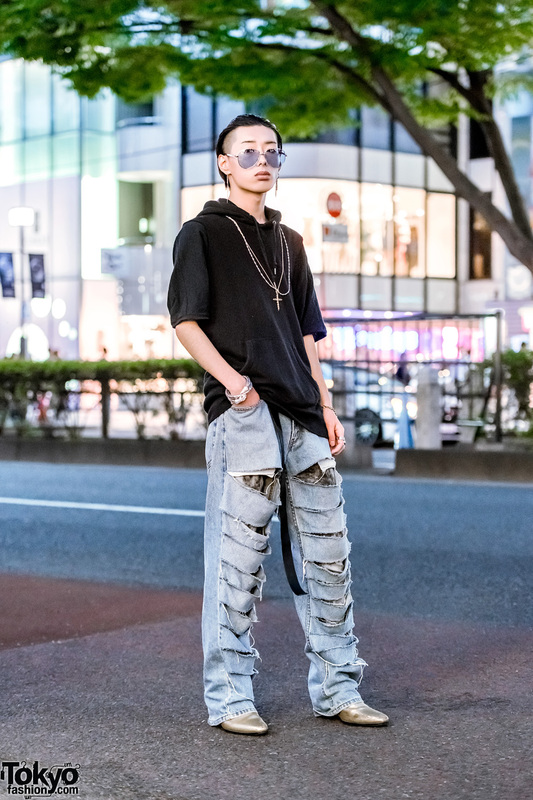 Harajuku guy in edgy vintage street fashion.